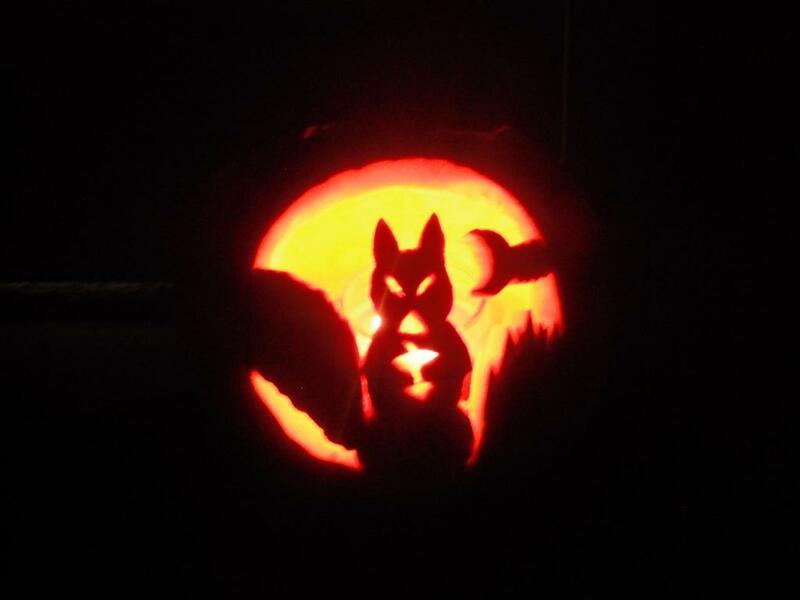 Every Halloween since 2009, I have carved a pumpkin using my squirrel fetish as an inspiration for the design. I usually put these out on the porch to be admired by the small handful of kids who bother trick or treating in the poor neighborhoods anymore. While I will humbly brush off any attempt by people to flatter my crudely drawn artwork… even I will admit I seem to have an uncanny knack for free styling some pretty awesome punkins. 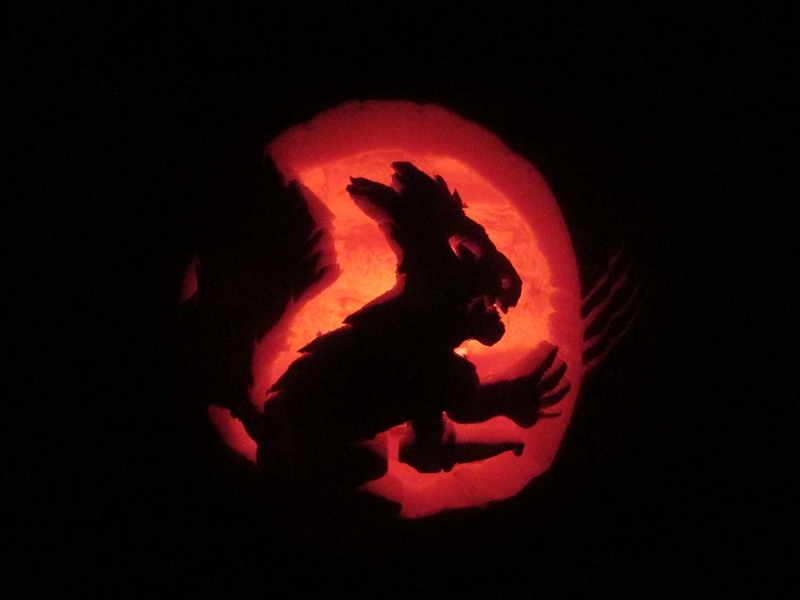 Below is a complete history of the Squirrel O’Lantern…. 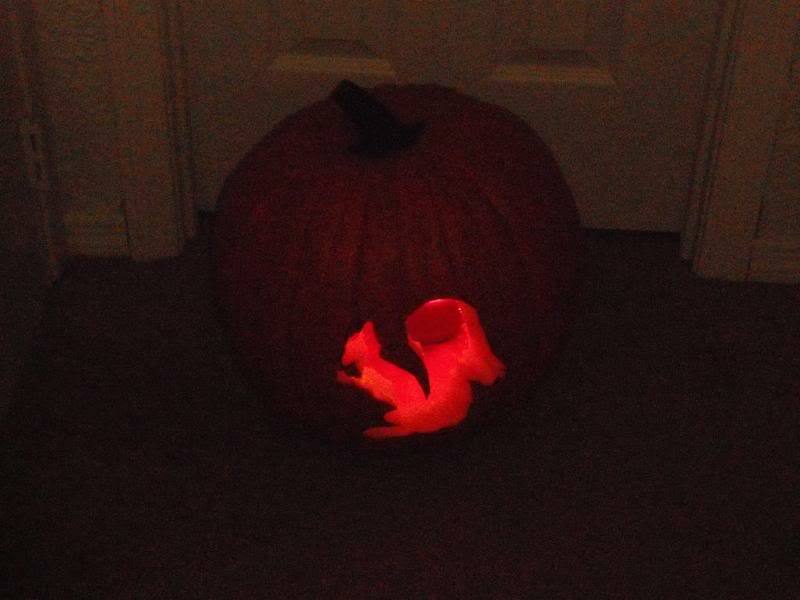 A simple carving of the classically posed profile of a squirrel. I like the glowing effect of this photo. 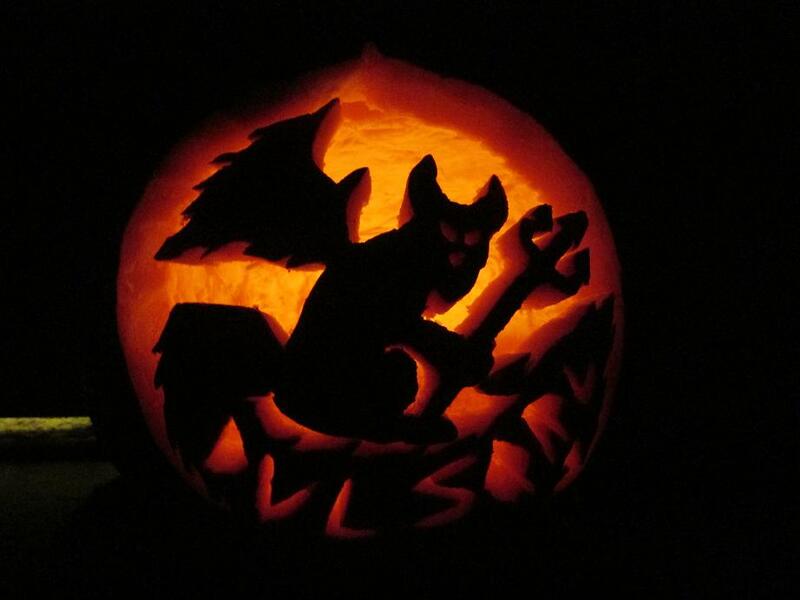 Changing it up on the previous design, I carved out the negative space in this year’s pumpkin. Same idea, different effect. 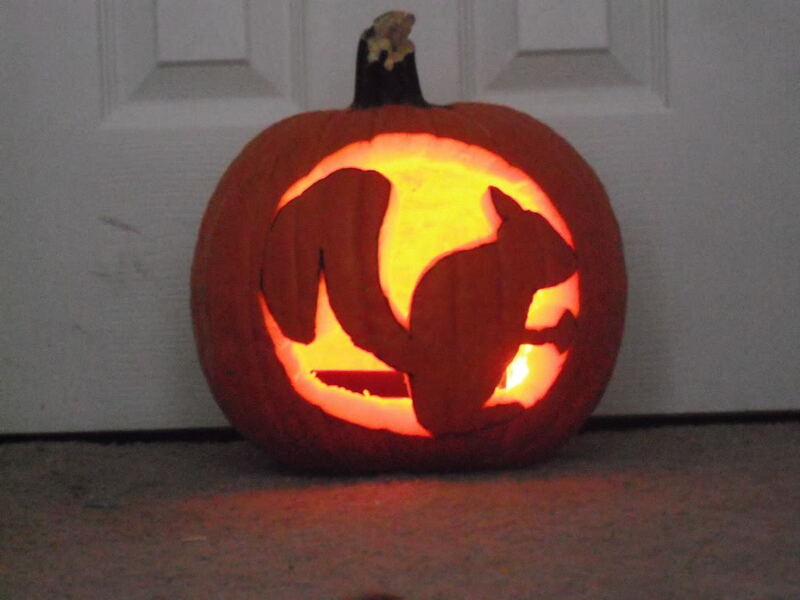 I finally started getting really creative with my third squirrel o’lantern. 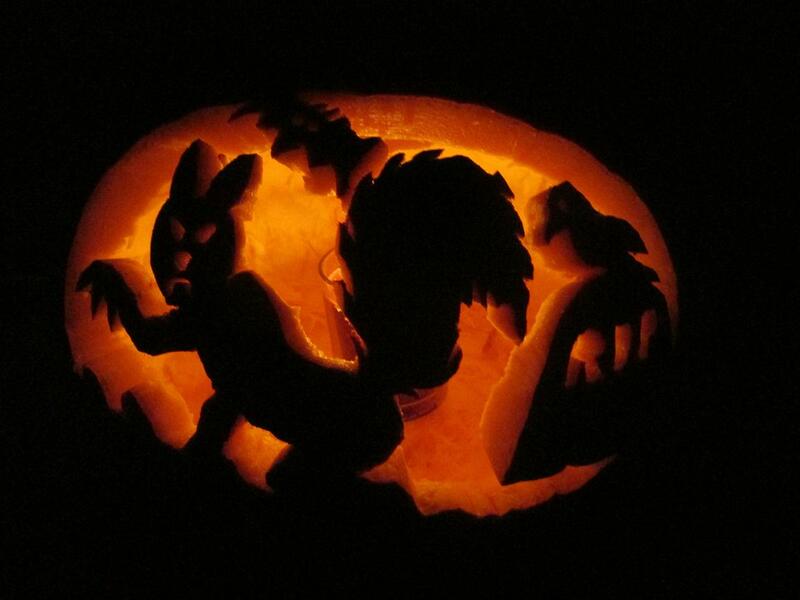 This one featuring an evil looking squirrel facing forward and holding an acorn…. or maybe a martini glass, depending on your perspective. 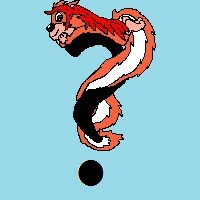 This one has a background with some creepy looking trees and Dr. Claw a cloud hovering over the moon! 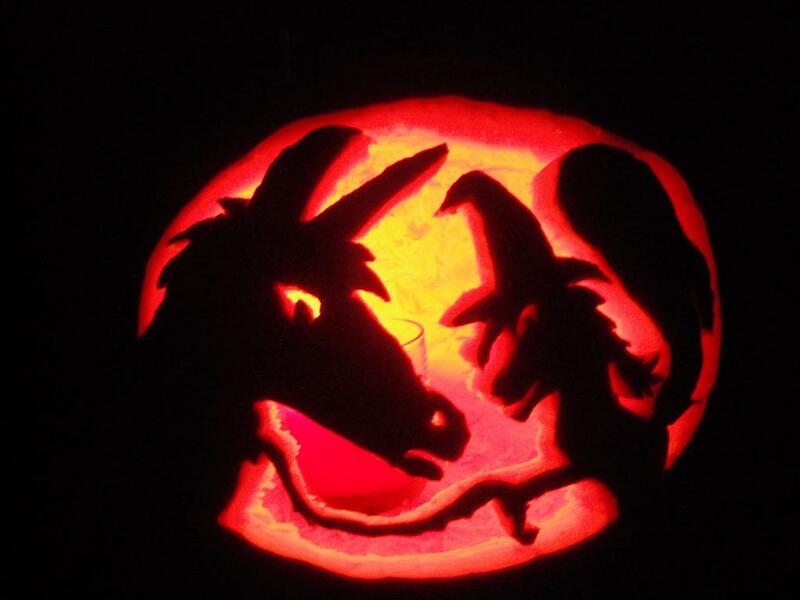 Who says you can’t carve a unicorn into your pumpkin? Due to Rainbow Donkey’s overwhelming popularity on my blog this year, I felt compelled to put him into the design… so here he is with witchy MBRS ready to trade in her broomstick for a really classy ride! 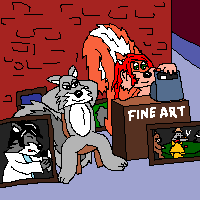 Poor Rainbow Donkey just wanted to go out for an evening stroll, but gets stalked by five evil squirrels. 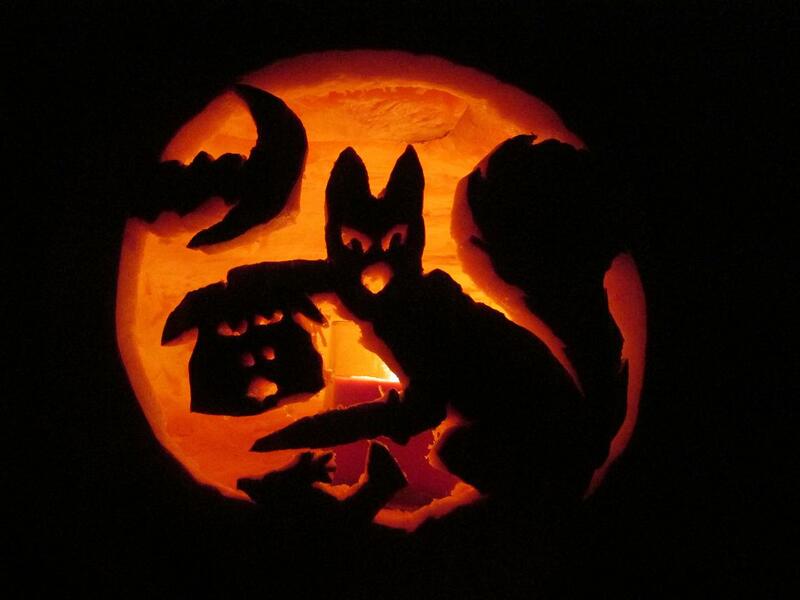 This was a hell of a hard design to cobble out on an extra large pumpkin, and the intricacy required to get all of the little squirrels to look just right led to a few oopsies. 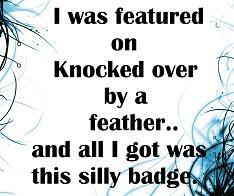 That poor guy’s eye on the bottom! 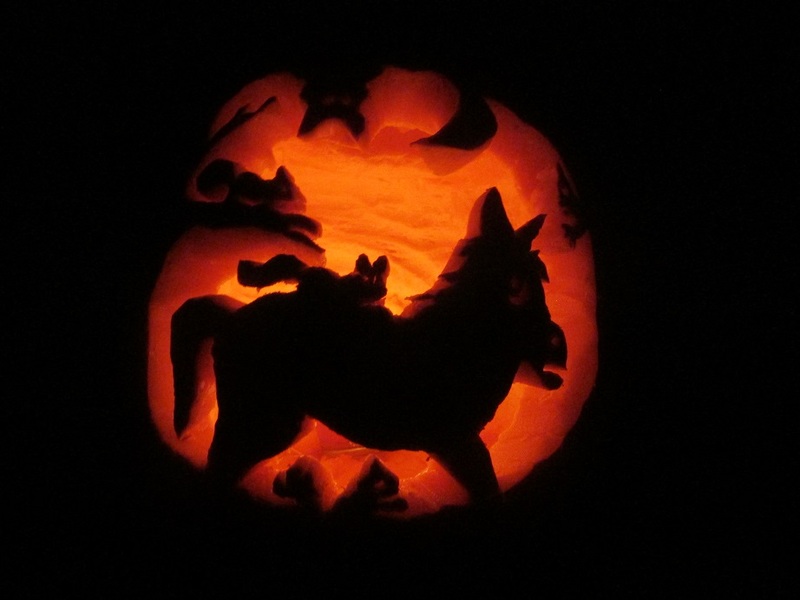 But the result was worth the effort, and once again, The Nest makes Halloween all about the unicorn! 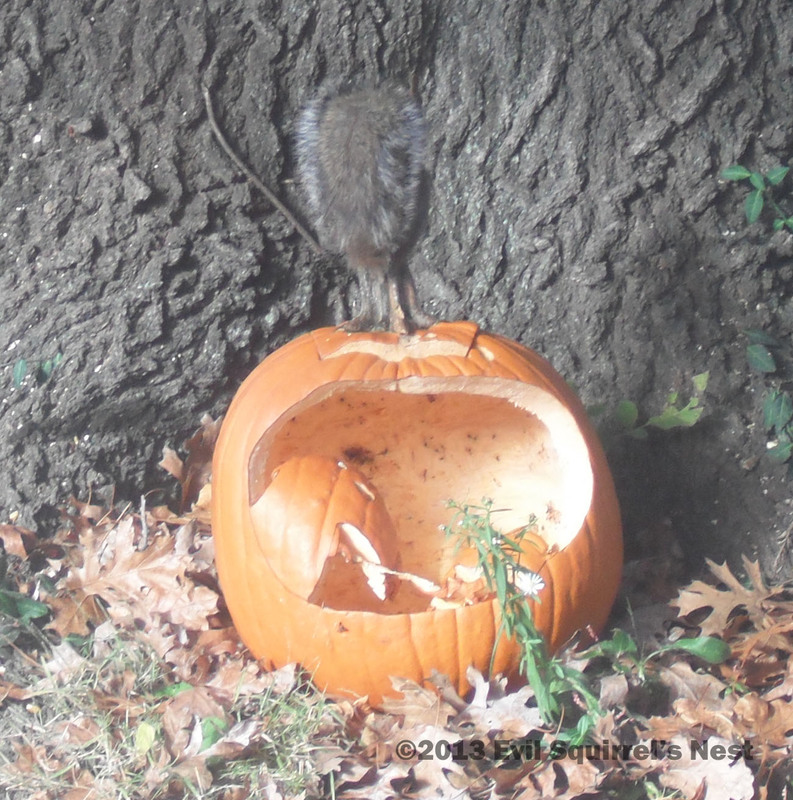 1 Response to Squirrel O’Lanterns!